Aluminium windows in Norwich and Norfolk properties make a superior alternative to the standard uPVC windows or more traditional timber window frames. Aluminium is a highly robust and secure material that has many advantages and benefits. If you’re looking for a structurally sound, highly secure and completely weather proof window option for your home in the Norfolk and Norwich area then Windows Plus UK Ltd offer the perfect aluminium solutions. What’s also an advantage of choosing aluminium materials for your windows is that they’re available in practically any RAL colour you can think of. There is an aluminium window design to suit any existing property as well as being created to complement your home beautifully. Another benefit of our aluminium windows in Norwich is that they’re completely energy efficient. If you’re looking for a fantastic way of reducing your heating costs then our aluminium window installations should be your number one choice. 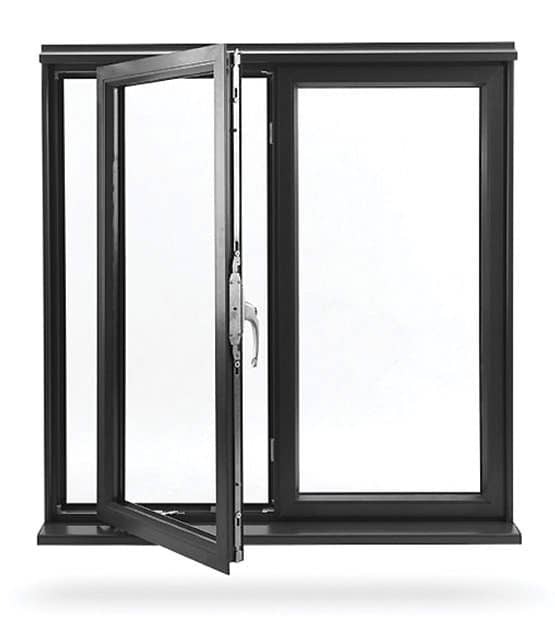 These windows offer ‘A’ rated window energy ratings and are designed to reduce CO2 emissions. Both yourself, and your home will benefit from lower carbon emissions and a more environmentally friendly property. Our aluminium windows are all tailor made to suit your current property. The dedicated team here at Windows Plus will work with you to create exactly what you’re after and advise you on the best aluminium window options for your Norwich home. Aluminium is a versatile and durable material which requires very little attention. You will never have to worry about painting or varnishing your new aluminium windows as you can choose the colour beforehand. They will also never, rot, warp, crack or discolour. The robustness of aluminium is remarkable. If you’re looking for a super secure product that looks fantastic as well, then these are the perfect choice for you. Aluminium is extremely robust making it incredibly hard to break – perfect for protecting your home against unwanted intruders. Not only will the structure of aluminium keep burglars out but also noise pollution and the worst of the British weather. Gone are the days of draughts and cold spots, your home will be warmer, quieter and much safer. For competitive aluminium window prices in Norwich and Norfolk, please feel free to contact us at enquiries@windowsplusuk.com or call us on 01603 438 886 to find out your aluminium window options.